Changing the vector of parameters you can obtain other galaxies. Do you want to try? 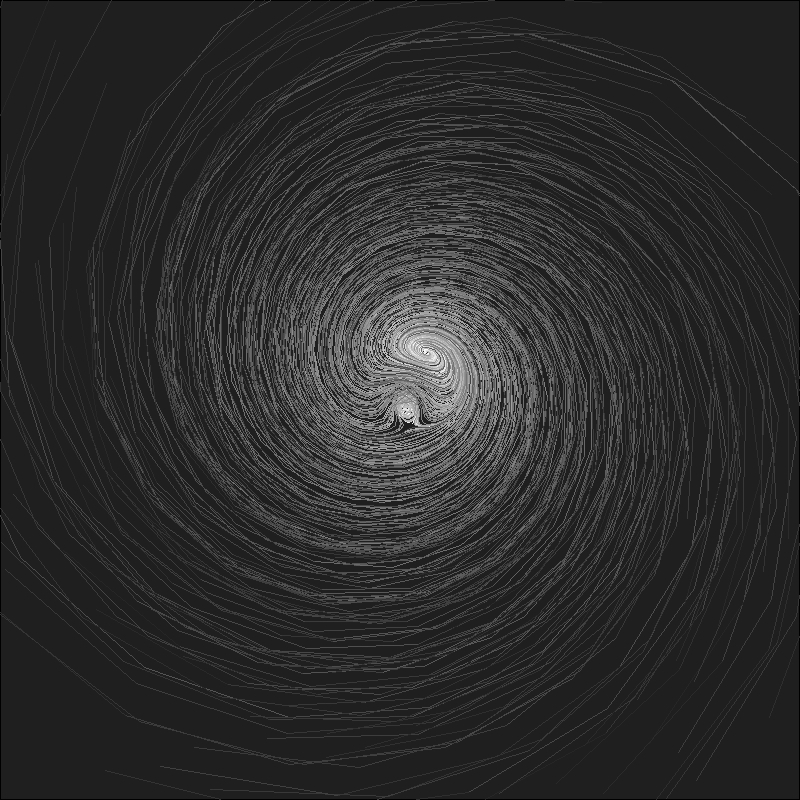 Nonlinear dynamical systems are an enormous seam of amazing images. The Ikeda Map is an example of strange attractor which represents the movement of particles under the rules of certain differential equations.